There’s no doubt that Instagram has exploded as a way for stationery designers, paper aficionados, and retail shop owners to connect and share their work with one another. With business page posts having less visibility on Facebook these days, many designers I know have transitioned the bulk of their social media efforts to Instagram. I personally use it as a place to promote my own brand, connect with the people who buy and support my goods, and keep up with industry colleagues (you can find me over @happycactusdesigns). Below are some tips, tricks, and best practices I’ve picked up along the way. I’d love to hear your thoughts on how you use Instagram – please share in the comments below! The photo is first and foremost what Instagram is about, so you want to show off your work in its best light (literally and figuratively). Use Instagram’s in-app photo editing software or other apps (Afterlight for iPhone is my personal favorite) to lighten and brighten your snaps. I avoid using filters because I want the true colors of my paper goods to shine. I’ve also found that having a Dropbox folder full of your best product images and styled shots makes it easy to have photos at the ready. Yes, you are representing your brand, but let’s not forget that there is a person or team behind that brand name. Your followers may like your products, but they will also love hearing the story behind your products. I’ve found that the accounts I love following the most have the perfect balance between sharing various aspects of business life – new products being released, behind-the-scenes peeks at the artistic process, announcements – and snippets of personal life and interests. In other words, I like learning more about other designers and their stories rather than feeling like I’m constantly being sold something. Hashtags are a great way for Instagram users to discover you or to aggregate images under a particular theme or event. Many companies these days hashtag Instagram pics with a company hashtag. For example, I use #happycactusdesigns on my posts. By doing so, these photos and those tagged by other users are pulled and published on my website. Someone looking at your feed can also quickly tap on the hashtag to see all of the related photos. 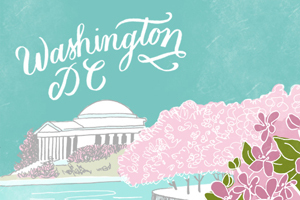 Search #NSS2015 for a bunch of eye candy from this year’s National Stationery Show. Embrace the community and makes connections. Don’t be afraid to comment on others’ posts! For me, Instagram has not only been a medium for staying connected to paper peeps I may rarely get to see, but also a place to connect with other likeminded paper folk. It’s a wonderful way to casually connect with retailers, bloggers, and others who love paper. Engage your followers. I’ve seen designers use Instagram to poll their followers about different versions of cards – I think this is a great idea and one I should probably try. Nothing like a little free market research from your most dedicated followers! Overcome counting likes and followers. This is a hard one. Who doesn’t love opening the Instagram app and seeing how many people have double-tapped your photo? I’m definitely guilty of this one. As designers, we can feel quite vulnerable sharing new work and awaiting reactions (or lack thereof). But at the end of the day, what truly matters is quality over quantity and to not take reception of your photos too personally. I’d love to hear about your experience using Instagram. Comment below with your favorite tip or piece of advice! These are great! I’ve also found that if I feature a post that was inspired by another Instagrammer/blogger, and tag that Instagrammer/blogger, a lot of their traffic will come to my IG post as well. For example, I was inspired by a blog post from A Beautiful Mess for mason jar salads. I made my own mason jar salad, tagged them in the photo because my inspiration was from them (share the credit love! ), they liked and commented on the photo, and it received over 150+ likes and some new followers. Another example, I regrammed a photo from Maybelline, Maybelline liked the photo, and it received more than 200 likes and 10+ followers. That is a great tip, Cori! Loved this post. IG is so fascinating to me because it has become such an excellent way to display goods and build community. For me personally, I enjoy the interactive component the most, so I try very hard to always reply to questions, and if it’s especially nice, thank someone for their comment. I also ALWAYS tag the original source in the caption. Yes, agree! And tagging original sources is essential and especially hope others reciprocate when they share my work. The Instagram community can be awesome, but it does get tricky how your own image can go way beyond your control. Great tips Brannon! I absolutely love Instagram and the fact that it can be such a great business tool is icing on the cake! Great post. I love Instagram! I think it’s great for showing work in progress, so people can follow my process from sketchbook to finished item. Like you said I also like to add in some personal photos so people get a feel for the person behind the brand and my ethos. All good advice, and I love seeing the DLG Posters in the bottom picture at Wild Ink Press! love Instagram, do you think it’s important to thank everyone for thier comment? Judith, I try to as best I can. If people ask specific questions or offer kind comments, I definitely thank them. Thank you for this! I love Instagram and these tips are on point. The Dropbox tip is fantastic too!